The Top Startup Jobs series profiles MaRS ventures that are on the hunt for talent. This week: Toronto’s Nudge Rewards, a high-growth startup revolutionizing employee engagement and performance. Frontline employees are the most important resource of any company in the food service, hospitality or retail industries. From prep cooks to store managers, these workers engage customers directly, drive sales and ensure quality control. In other words, business success starts on the ground, so it’s important to recognize employees from the top-down. Enter Nudge Rewards, a startup that places employee empowerment at the core of its business. Named after Richard Thaler’s Nobel Prize-winning theory, Nudge believes that strategic decisions combined with reinforced learning bring companies greater financial returns. Through its app, Nudge pushes bite-sized bits of information to its clients’ frontline employees and rewards them when they successfully complete tests and challenges. The app also collects data in real time, allowing companies to quickly pivot in the event of ineffective campaigns and strategies. Say, for example, you’re the marketing director of a Canadian clothing chain — it’s Black Friday and a frontline employee in your Halifax location has just notified the team that certain items are not selling. No problem. Nudge’s app allows staffers around the country to share customer feedback and brainstorm solutions. Nudge prides itself on being a safe space for all of its employees. No matter one’s level of expertise, team members are encouraged to ask questions and grow their knowledge across departments. Employees are also provided professional development stipends to refine their skills and learn relevant disciplines. As with all service-centred jobs, the customer comes first. 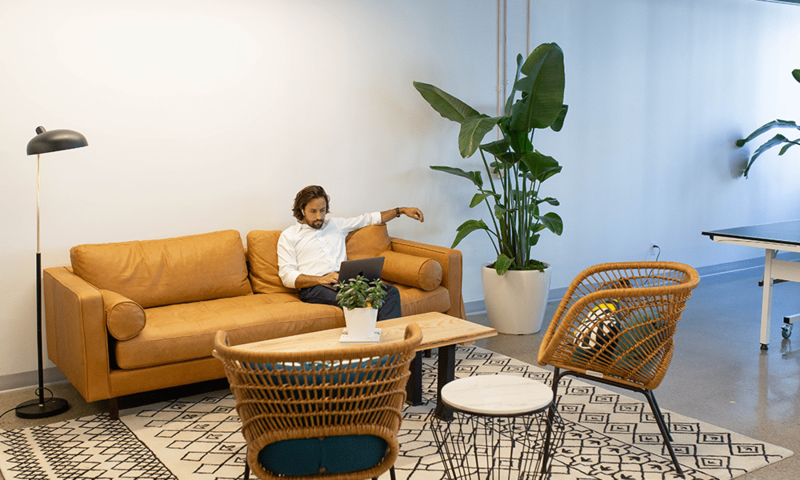 Being able to empathize with clients (and clients’ clients) is not only a staple of Nudge’s philosophy, it’s part of the company’s professional development approach. Now Neshay shares lessons learned with her team, encouraging them to always communicate and be open to new ideas. 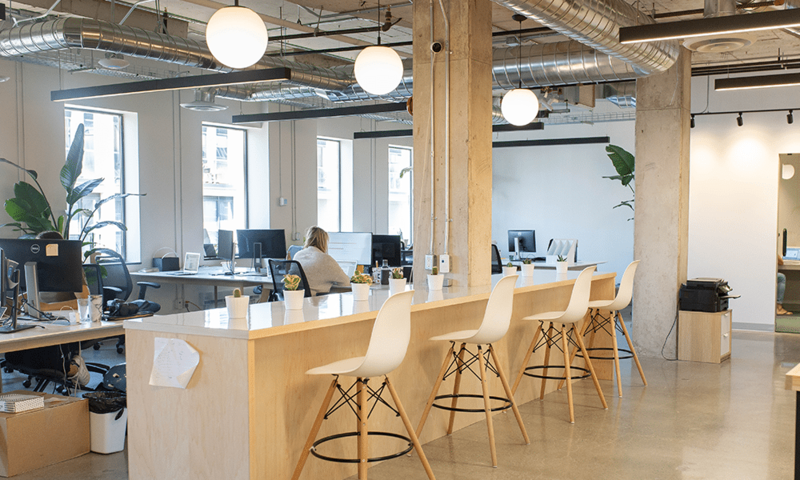 Looking around Nudge’s sleek office, you notice a lot of empty seats — and that’s a good thing. If all goes to plan, the company will hire 10 to 15 new employees by year’s end. 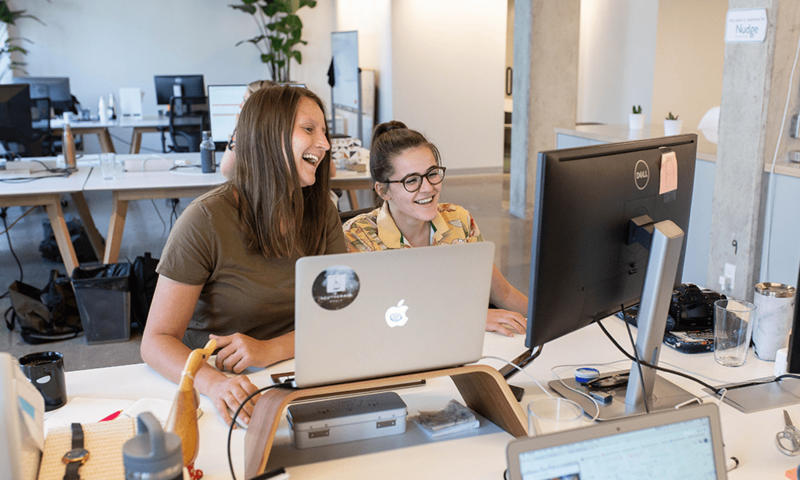 Positions they’re looking to fill include a Head of Customer Success, Content Marketing Specialist, and Enterprise Account Executive. Other group activities include lunch and learns, taco dinners, Blue Jays games and karaoke nights. 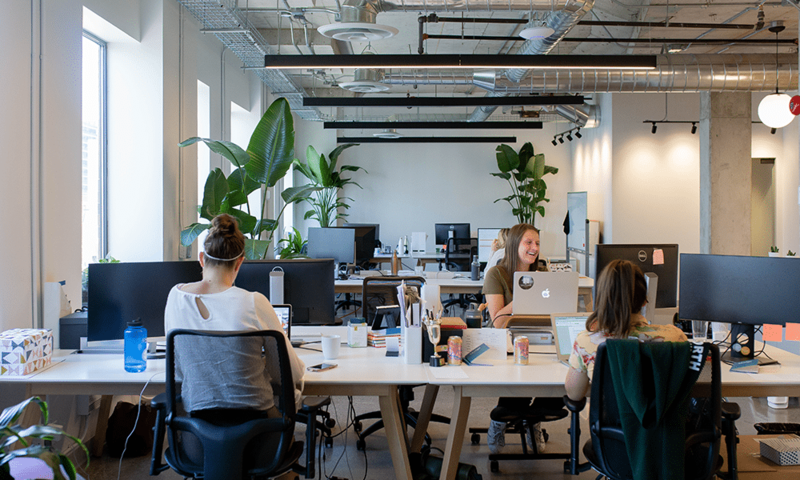 More than anything, Nudge wants new talent to believe in the startup’s mission: ensure all employees have the tools, knowledge and support to do great work every day. Easy to say when your teammates have your back.